With whitetail bow season underway in a few states and just around the corner here in Tennessee and other places, lots of deer hunters are hitting the woods to find that perfect hunting spot. I'm really thrilled that more and more of them are getting interested in finding and hunting dominant trees. In the past week I've gotten at least a dozen emails and messages on message boards either asking for help in finding dominant trees or talking about how the hunter had shots at deer every time they hunted a dominant tree. One of the things I've heard many times in recent weeks is that there are acorns everywhere and the deer aren't focusing on any particular tree. There is a possibility that is correct, but I'd wager to say that there are dominant trees somewhere, the hunter just hasn't found them yet. 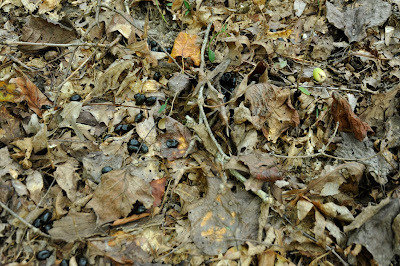 Even when there are acorns everywhere, deer remain creatures of habit. As a result, they will follow short-term patterns that will take them through preferred feeding areas and past dominant trees on a regular basis. With that in mind, I thought it would be a good time for a few advanced scouting tips. Before I jump into that, if you need to brush up on dominant tree basics, start with this article for an overview of Pursuit-style hunting, then this one for a definition of dominant trees, this one for an overview on identifying them, and finally this one for some basics on acorns and oak trees. Don't just wander aimlessly looking under every tree you come across. Think like a deer. Where would I be at night? Where would I go during the day. How would terrain features, the prevailing wind, and cover (or the lack thereof) influence my travel routes between them. Get out a topo map and aerial photo of your hunting area and study them with those questions in mind. Then develop a scouting plan that takes all those variables into account. Mark your best guesses for the deer's preferred travel routes on your topo map, or better yet, use some topo mapping software like this to create custom maps. I use one symbol to designate spots to be scouted and other symbols to record what I find. As you are out working your plan, keep your eyes open for obvious things like slick trails, creek crossings, or places where deer are crossing under fences like this spot I found yesterday. If you find fresh walk sign, there is a reason why deer are in the area at that particular time. Ask yourself, "why would a deer be here?" It may or may not be because they are feeding on a nearby dominant tree, but the odds that they are just went up. I found this fresh feeding sign literally twenty feet from the fence crossing. Sometimes the walk sign you are looking for will be much more subtle than a slick trail. Unfortunately it's very hard to photograph, but often I've found dominant trees by noticing disturbed and broken leaves where numerous deer have walked through an area and followed the "trail" right to a dominant tree. 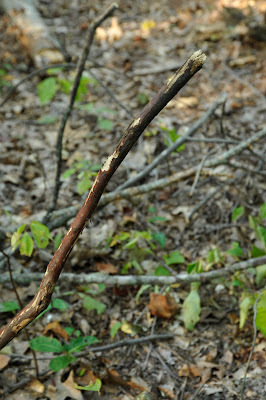 Also, in the early season, look for small rubs like these, which I call feeding rubs. They are often located either directly under or very near a dominant tree. I believe that bucks tend to make them soon after they have shed their velvet. They are not so much about communication like the larger rubs you will see later in the year, but rather, they seem to be more a case of boys being boys and just trying out the new hardware. For whatever reason, they tend to do it near feeding areas. Deer seem to prefer the freshest acorns available. As you are walking through the woods, stop frequently to listen for dropping nuts just like deer do. I've probably found more dominant trees just by following the sound than any other way. I hope these little tips help you improve your scouting skills. Please feel free to leave a comment or question below. Thanks Pastor. My buddy Ted (who gets all the credit for getting me started hunting the right way) was guiding a couple guys in KY last week. They looked at him like he was crazy when he pointed to a tree and told them, "the deer will be right there." Let's just say that after watching deer come straight to the tree he pointed out and feed for an hour, they are now among the converted. 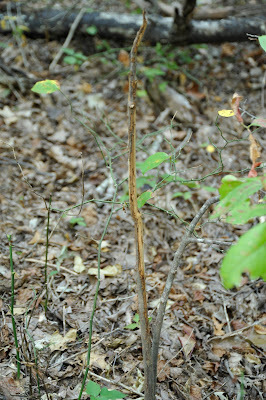 I found a fresh rub this past Sunday, 10/31, where the deer rubbed the bark off all sides of the tree. The tree was about 2 inches in diameter. 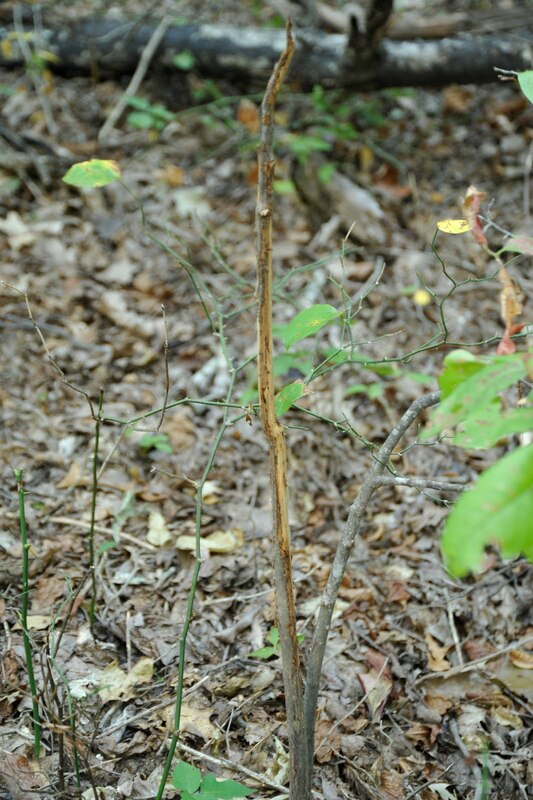 I setup a mock scrape near the rub and attached a scrape scent drip bag above it. I plan to hunt that spot this weekend,11/6, which should also be around the start of the Rut. Is this a good hunting strategy? Would you post close to the rub / mock scrape or would you post about 15 yeards away from that area? Thanks. Jeff - That may or may not be a good approach. The problem with hunting a single rub is that you really have no idea how long ago it was made, whether it was made during day or nightime travels, and whether the buck that made it is following the same patterns now or in the future. Now if the rub is in an area with other sign who's freshness you can determine - like feeding sign, tracks, and scrapes, then I would get more excited about it. As far as mock scrapes go, I wouldn't put a lot of hope in the notion that it is going to attact deer. If deer are travelling through anyway, they may check it out, but I doubt that it is going to influence them too much. You can save yourself some money by just scratching back the leaves and peeing on the ground. It really works - see the "Golden Opportunities" article that I wrote a couple years ago. 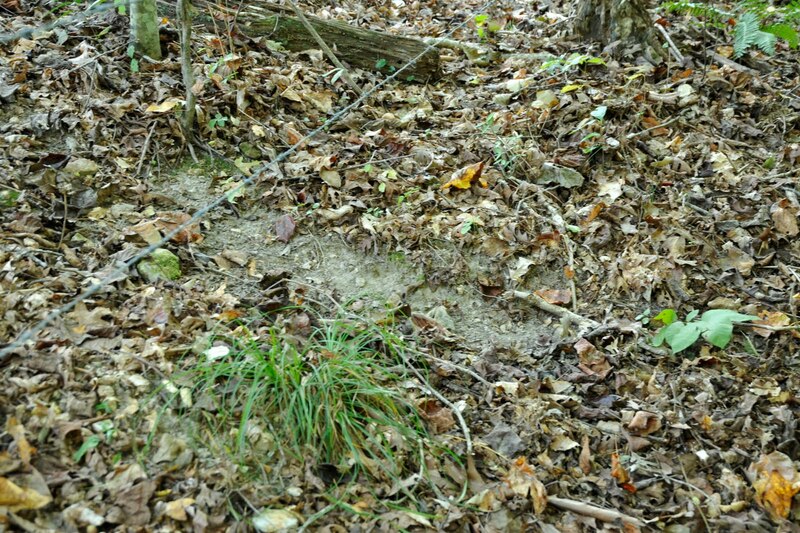 I have recently joined a new hunting lease(and have started the arduous task of scouting the entire property), around 400 acres that is mostly rolling hills in western TN with hardwood forests on it. It has a few fields that run through it that the farmer has either beans, cotton, or corn in. The club plants about 3 acres of food plots. My question is with those crops around, should the emphasis still be on finding a dominant tree? Also, the property has two VERY deep creeks going through it that hinders me from crossing and getting to the other side without walking a long distance around. Will deer cross deep creeks like this or would they rather take the easy route? I would definitely hunt a dominant tree - particularly during bow season where knowing exactly where a deer is going to be has real advantages. 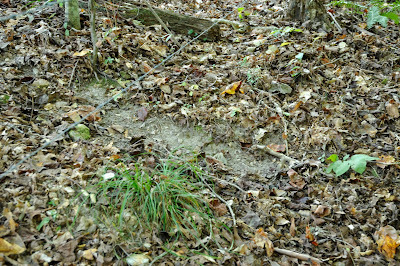 Usually, once the deer experiance a little hunting pressure, they will primarily use the foodplots and fields at night. I would concentrate on finding dominant trees within a couple hundred yards from the fields and foodplots. 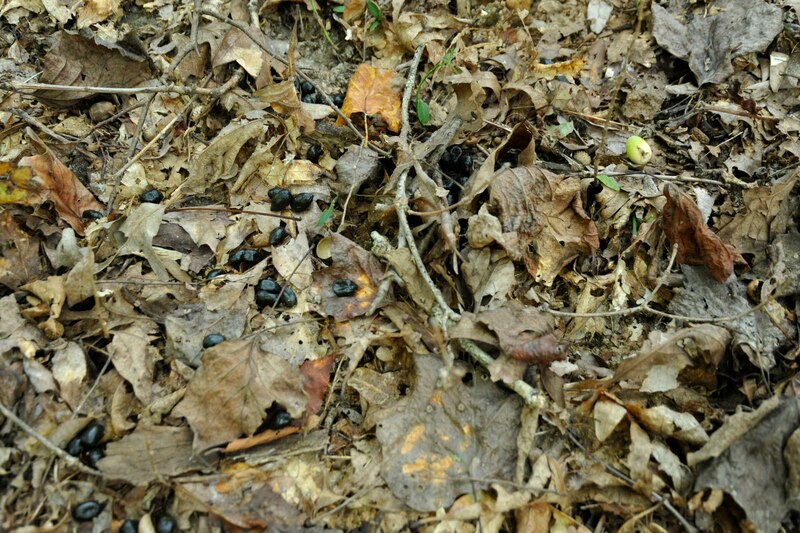 Deer will usually stop to feed on acorns on their way to and from their nightime feeding areas. Normally, your highest probability in an area like that would be the first and last 30 minutes of daylight. I don't know how deep the creeks are on your property, but I spent a couple days shed hunting on a friend's place in Grand Junction that has lots of really deep, really steep creeks. The deer seemed to use the draws like highways. I bet if you walk the edges, you will find numerous trails that the deer use to cross them. Thanks for the input! The creeks are about 20 feet deep and have very steep banks. There are quite a few white oaks on the property, which made me happy when I read your other blogs about the dominate trees. Can't wait to put your tactics to good use in a few weeks! I scouted an area and by happen stance found a rare white oak with acorns this year. It was a bad day weather wise. The wind was blowing up to 40 mph and had the deer locked down. I was discouraged but also happy the squirrels were not bothering me. Well I spoke to soon, just at sunset the squirrels came out. What did they do, they went to the tops of two oaks and started to drop the acorns. It was like rain. Unfortunatley, I was running out of shooting light, just as a heavy racked big buck came in behind me. No shot was available. On my trip home, I realized that the squirrels called him in by dropping those acorns. I haven't had a chance to get back there yet but I plan on revisiting it soon. It's an archery only area. I'm waiting for the rut to drop out of lock down and get my youngest son a buck by gun.